4th March 2010. Photo Comp - WIN A HEMA NAVIGATOR 5, EO LIFE MEMBERSHIP or BOB COOPER SURVIVAL KIT. Also, Pat Callinan, classifieds Ad Awareness, and a New Trek - D'Entrecasteaux NP - Eastern Section. Photo Competition - Great Prizes! This competition offers all ExplorOz Members the chance to have their best photo featured on a canvas print being prepared as a unique piece of ExplorOz Memorabillia that will be auctioned at the National Gathering to raise funds for charity. Not only does the winning photo become published on the print, the winner will also receive a HEMA Navigator 5 kindly donated by Hema worth $990. But the prizes don't stop there, with second prize being an ExplorOz Lifetime Membership, worth $300 and third prize being a Bob Cooper Survival Pack worth $175. What a great way to win these top quality products! If you miss out on making the winning submission you can still be a winner by bidding for the finished Photo Print. Auction will take place at the National Gathering however even if you can't attend you can bid by proxy in the lead up to the event (stay tuned for more information). Note that you must be a Member to participate in this competition and ONLY entries submitted via blogs tagged to "Photo Comp 2010" will be accepted. Even if you don't win, we all had a lot of fun last year watching the incredible variety and quality of submissions so don't miss out! This competition is open now and closes at 4pm WST Friday 16th April 2010 so join up to become a Member and get blogging! 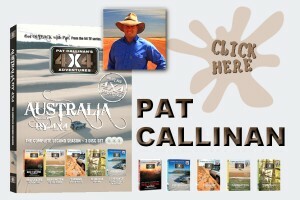 Pat Callinan’s 4x4 Adventures Season 2 are now available on DVD! 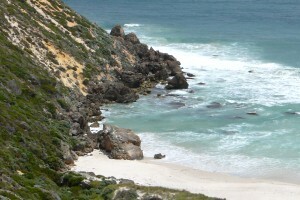 Featuring all of the best 4WD tracks and locations in the Red Centre, Esperance to Kalgoorlie, the Canning Stock Route, Barrington to the Beach, and Tasmania, these products offer something for every traveller. Treks range in difficulty from easy to hard, and Pat offers some great tips and techniques to help you enhance your off-road skills. The DVDs for each location are available either separately, or in a great value DVD Box Set which is only $54.95, and includes all seven Season 2 episodes along with some great bonus footage. The ExplorOz Trader has long been a very fast and convenient classifieds system for our site users with many happy buyers and sellers. You get good bang for your dollar, you can have a large item description, multiple colour photos, and you can answer queries via email with all correspondence initiated by the interested buyer. It's rare that something goes wrong but occasionally a scammer will target online classifieds and enter bogus products for sale as happened over the weekend with a Winebago for $18k. Although we had the bogus ads removed within 1 business day, remember the saying - if it seems too good to be true - it often is!! If you have any suspicions about an ad - don't contact them, instead you can send us an email and we'll look into it. Season 2 are now available on DVD! United Fuel Injection Pty Ltd - fault diagnostics, repairs, mods, servicing, 4WD dyno, turbos & intercoolers etc. Design Interaction - producers of the popular map book series 'The Outback Travellers Track Guide'.